Come on in and meet the elusive Elvis Pummel, the primitive rock ‘n’ roller often referred to as Swedish but seemingly from Dortmund, Germany – a place where genius and madness merge into a subtle duet. Equipped with a '50s Hofner guitar Elvis Pummel first came to prominence in 1998, appearing on the Voodoo Rhythm compilation The Penetrating Sounds Of,,,, although he’d been playing his own brand of psychobilly since at least the mid 1980s, first in the band Barnyard Blitz before striking out on his own, weird musical journey. Reviewing his first release, Blue Suede News magazine wrote: ‘If you think Hasil Adkins with his distinctive, raunchy one man-band music is a true stylist and genius, you might like this effort.’ I think that undersells him somewhat. Adkins has a similar primitive rock ‘n’ roll approach, and there can be no doubt that both musicians have been resolutely ploughing their own perverse furrow, but Adkins’ productions are akin to Phil Spector’s when compared to Pummel’s – and Adkins can (or at least could) sing: no matter how much you may like Pummel’s distinctive voice you could hardly call him a great singer. 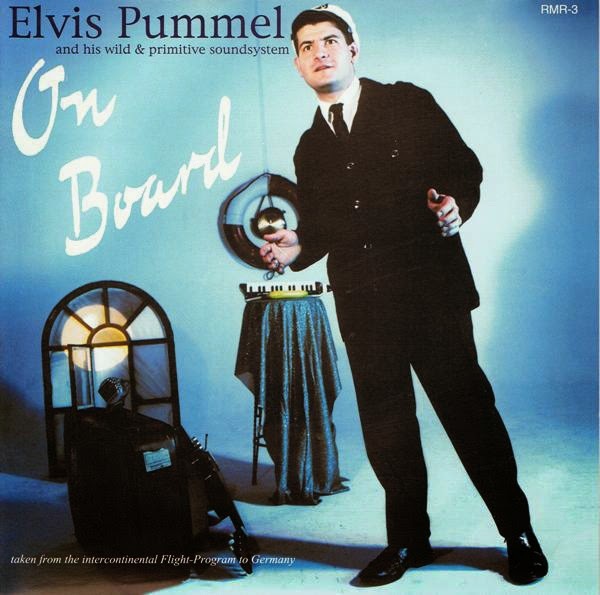 Anyway, have a listen to a few tracks from Elvis Pummel And His Wild & Primitive Soundsystem – On Board and decide for yourself. 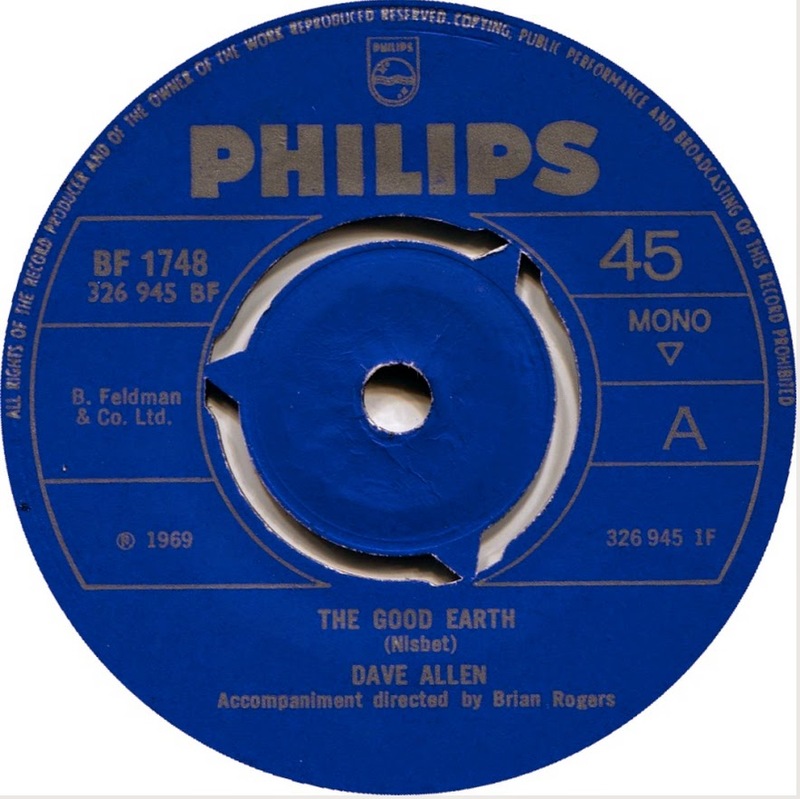 Issued in February 1969, The Good Earth is the only single released by the legendary Irish comedian Dave Allen. If you don’t know whom I’m talking about get Googling now: Allen was easily one of the best and most important comedians of the last 50-plus years. His irreverent, religion bating monologues, jokes and sketches are priceless, and his knack of kicking against the establishment whilst gaining a huge TV audience was unprecedented. David Tynan O'Mahony (6 July 1936 – 10 March 2005) was – certainly until the 1980s - Britain's most controversial comedian. His relaxed, intimate style (on TV he would sit on a high bar stool, smoking and sipping from a glass of what looked like whiskey, but was in fact ginger ale) charm and besuited respectability allowed him to get away with more than any other comedian had dared do before – especially on prime time television. A religious sceptic, religion (and especially Roman Catholicism) was an important subject for his humour, mocking church customs and rituals rather than beliefs. So it’s a bit of a surprise to discover that the great man released this piece of sentimental claptrap. Called a ‘somewhat whimsical but certainly sincere counter-cultural contribution timed to coincide with the moon landing’ by Allen’s biographer Graham McCann, The Good Earth uses the image of an astronaut looking down upon our planet, a very contemporary message at that time. Written by Ben Nisbet, The Monkees also recorded the song during sessions for their 1969 album the Monkees Present, although their version remained unreleased until Rhino Records reissued the album on CD in 1994. The B-side, A Way Of Life, is worse: to the tune of Greensleeves, Allen recites a ridiculous poem which offers up such homilies as ‘listen to others, even the dull and the ignorant: they too have their story’. The writer credit on A Way Of Life reads ‘Martin/Kelsey’ however the words are actually by the American poet Max Erhman and, correctly named Desiderata, would provide an enormous international hit a couple of years later for Les Crane. Calling it Spock Thoughts, Leonard Nimoy also performed the poem on his 1968 album Two Sides of Leonard Nimoy. Unsurprisingly the record was not a hit. Allen went back to comedy, leaving this sole disc an obscure footnote in an otherwise remarkable career. Goodnight, and may your God go with you. A short post today - sorry. I had written something much longer only to discover, as I checked through my previous posts, that I had already featured that particular track. Well, 301 posts down the line, surely you can excuse an old man a touch of forgetfulness? Todays brace of badness comes courtesy of the ever-brilliant Music For Maniacs, an essential blog for lovers of the obscure and perverse, and where, back in 2010, I first discovered the delights of Margaret Raven. There's very little I can tell you about the obscure Margaret Raven, apart from that they were based in New York and recorded one album - probably only issued on CD-r and passed around family and friends. A couple of the tracks on the album originally appeared on MySpace in 2009: at some point before 2011 the band split. One of the former members of Margaret Raven, posting on the (author and Shaman) Carlos Castaneda forum Sustained Reaction, had this to say: "Margaret Raven was my band. We made really crazy music, nothing like you've ever heard before. Anyway, the music we made was very heavily influenced by Carlos Castaneda. I learned how to play my instrument, Rainmaker, from the devil's weed. There is an old saying that goes "you always know when you hear a crow, but when you hear a sound and have no idea what it is, that's a raven". Our band consisted of Rainmaker, Theremin, and drums. Please give it a listen. These songs are quite a few years old." I can tell you that an earlier Margaret Raven was a playwright who published the play The Alchemist in 1912, but that's about it. I wish I had more, so if you know anything else about them please do share! 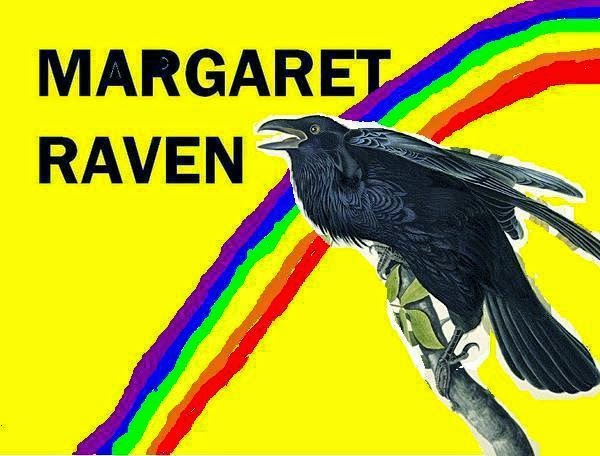 For now here are two tracks from Margaret Raven: Run Me Rainbow and Fire Atop The Pyramid. When I started this blog way back in September 2007 I had no idea how (or even if) it would take off, and I’m immensely grateful and humbled that so many people seem to enjoy it. 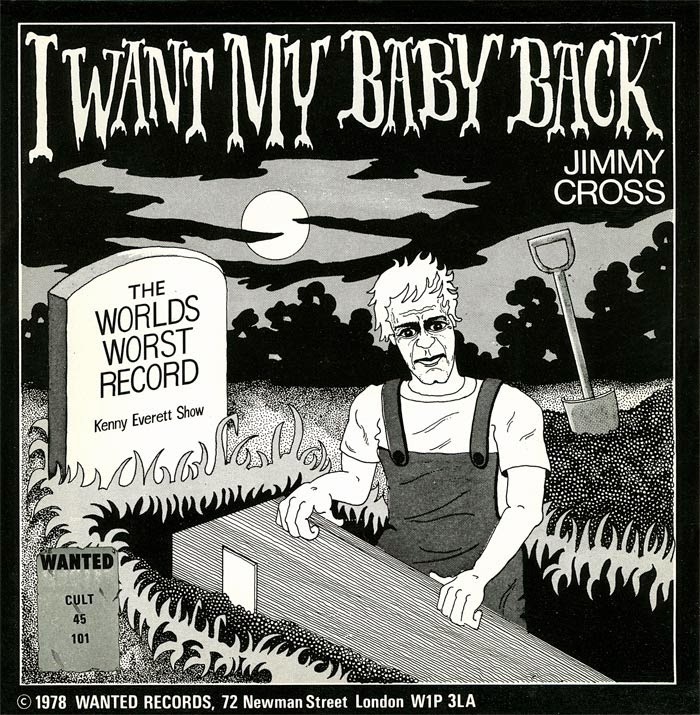 Today’s WWR entry is a bit of a milestone – it’s my 300th blog dispatch – and for today’s landmark posting we’re going right back to where it all started, revisiting the career of the man who performed one of the most infamous bad records of all time, the late Jimmie/Jimmy Cross. If you've read the book you'll already know most of this: you may want to skip to the end of the post and simply grab the tracks! Born in Dothan, Alabama in 1938, although radio producer Jimmy Cross had dabbled in song writing (co-writing I Still Love Him, which was produced by Garfield and Botkin for girl group The Joys) I Want My Baby Back was his first release as a featured performer*, and the only one of his singles to chart. Issued on the Tollie label in December 1964, the single reached number 92 on the Billboard Hot 100 the following February. Knowingly referencing both the Beatles (the group that supplied Tollie with its only major chart hits) and Leader of the Pack, I Want My Baby Back is a song which describes – in graphic detail - how the singer’s girlfriend is fatally dismembered and how he, after several months of torment, decides that the only way to overcome his grief is to desecrate her grave, crawl into her coffin and join her for all eternity. Oh baby, I dig you so much! It’s ghastly, and thoroughly brilliant – and hearing it for the first time in the early 1980s was a defining moment for me. This (and Fluffy by Gloria Balsam) is entirely responsible for kick-starting my interest in bad music. Bizarrely the song was covered (not very well, in my opinion) by British R'n'B act The Downliners Sect for their 1965 EP The Sect Sings Sick Songs. The moderate success of I Want My Baby Back was reason enough for Tollie to order a follow up, so Jimmy was put back to work. His second single for the company was The Ballad of James Bong, a comedy record (credited to Botkin, Garfield, Cross, Price and Cole) based on the James Bond phenomenon, where Cross’s character is trying to save the world’s rock and roll stars from being annihilated. It was released (this time credited to Jimmie Cross) in 1965 and sank without a trace – as did Tollie Records. 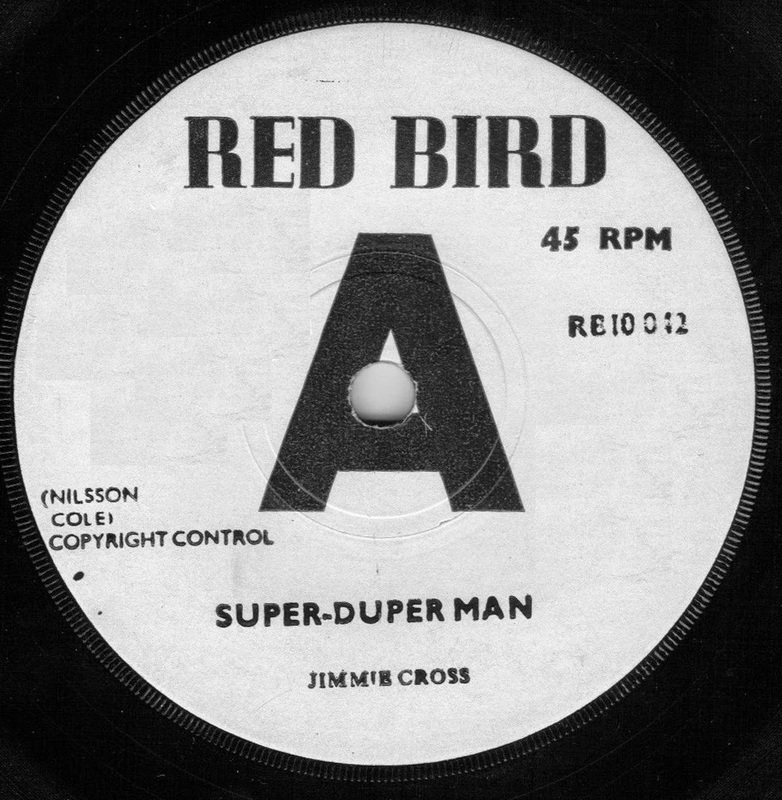 Red Bird Records, the company set up by songwriters Jerry Leiber and Mike Stoller, then signed Jimmie and he released a further 45: Hey Little Girl (Do You Want to Get Married), a timely Herman’s Hermits pastiche, backed with Super-Duper Man, a tribute to the man of steel. Both tracks were co-written by a 24-year old bank clerk who, a few years later, would go on to much greater fame: Harry Nilsson. Unfortunately this single also missed the mark and Jimmie quietly returned to the day job. Hey Little Girl was re-issued, this time with an instrumental version on the B-side (curiously renamed Chicken Track on some copies, Hey Little Girl Part 2 on others, and credited to the Jimmie Cross Orchestra) on the Vee-jay imprint Chicken Records: in 1967 Nilsson would offer Super-Duper Man and Hey Little Girl, along with half a dozen other songs, to The Monkees. They turned them down but did opt to record his other compositions Cuddly Toy and Daddy’s Song. Yet that would not be the end for I Want My Baby Back. In 1977 British DJ Kenny Everett began featuring I Want My Baby Back on his Capital radio programme The World's Worst Wireless Show although initially, probably because of the credits on his later release, Everett wrongly assumed that Jimmy Cross was in fact a nom de plume of Harry Nilsson. Even though he got his facts wrong, the interest in the song created by Everett inspired Wanted Records in the UK to re-issue the single, complete with its original B-side Play the Other Side (a short, instrumental version of the A-side) and a new picture sleeve but without bothering to officially licence the damned thing. They even had the cheek to add a jokey sleeve note and credit it to Jimmy, even though the poor devil knew very little (if anything) about the release. Jimmy died of a heart attack that same year at the ridiculously young age of 39 in North Hollywood. Perry Botkin Jr went on to fame and fortune working with the likes of Barbra Streisand, Van Dyke Parks and Carly Simon as well as writing and producing the music for many successful TV series including Happy Days, Mork and Mindy and Laverne and Shirley. Gil Garfield, sadly, passed away in 2011 after a long battle with cancer. Jimmy is buried at the Forest Lawn Cemetery. I hope that he’s finally been reunited with his baby. Here, for your enjoyment, is every track recorded by Jimmie (or Jimmy) Cross. I’ve also included the instrumental B-sides to I Want My Baby Back (Play the Other Side), The Ballad of James Bong (Play the Other Side Again) and Hey Little Girl (Chicken Track). * There’s an earlier single by Jimmie Cross, Pretty Girls Everywhere (probably the same song which was originally recorded by Eugene Church and was later covered by the Walker Brothers) issued in 1961 on Recordo Records. However I’ve been unable to ascertain if this is the same Jimmy/Jimmie Cross as our hero. If anyone out there knows, do tell!